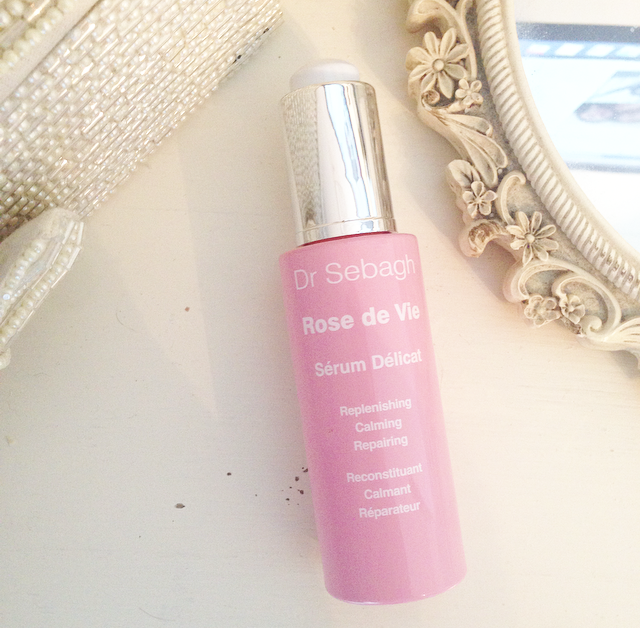 A silky serum which leaves a protective film to restore the skins suppleness, contains organic rose hip oil, anti ageing and anti oxident ingredients to reduce redness, protect and smooth the skin. Ok I get it that’s it’s a very luxurious product which comes in a glass bottle with a pipette applicator which I really love and looks great on my dressing table but what’s with all the packaging? It’s comes in a pretty soft pink cardboard sleeve over the top of a two part sturdy glossy white box. It all looks beautiful but so unnecessary as it’s going straight in my recycle box. 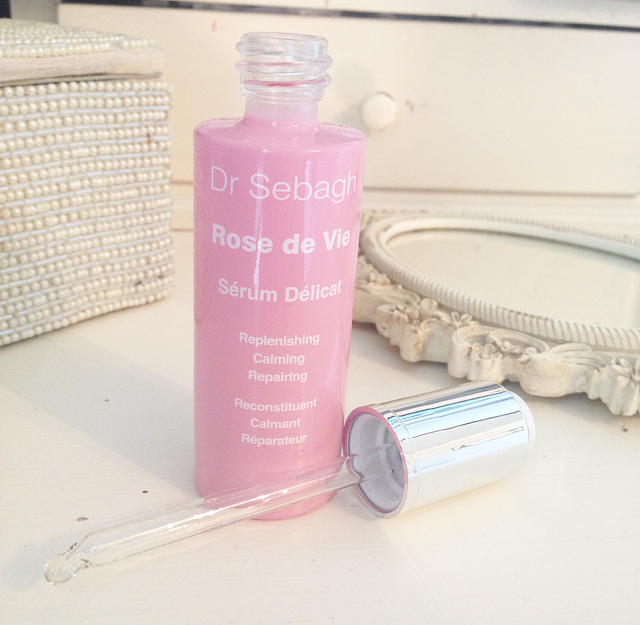 On to the product, this light non-greasy serum is truly magical it’s no wonder it has gained a few celebrity fans and is a hit amongst the beauty journalists. It’s really really good at calming and moisturising irritable skin. I often have little flare ups of red itchy skin, when I massage in a few drops of this amazing potion my skin is immediately calm and hydrated like magic! It can be applied morning and night however I tend to use it for emergency skin flare up’s due to the fact it’s quite pricey, although you do get what you pay for and in this case it delivers on all expectations. It’s so light it can be applied under your moisturiser and make-up without any oily residue, actually it helps your make-up look fresher and stay put for longer. The smell….oh my it’s sooooo lovely, soft and pretty it reminds me of real traditional rose Turkish delight, it’s very delicate and calming. Those who aren’t fans of “rose” smelling products I’m pretty sure your’ll fall in love with this one. My skin is calm with no inflammations or itchy patches and very supple. It also works well when you add a few drops to your moisturiser. It is a splurge at £129 here but I will say it’s worth every penny! Mine will last a year as I only use when I feel my skin needs it, I simply love it! 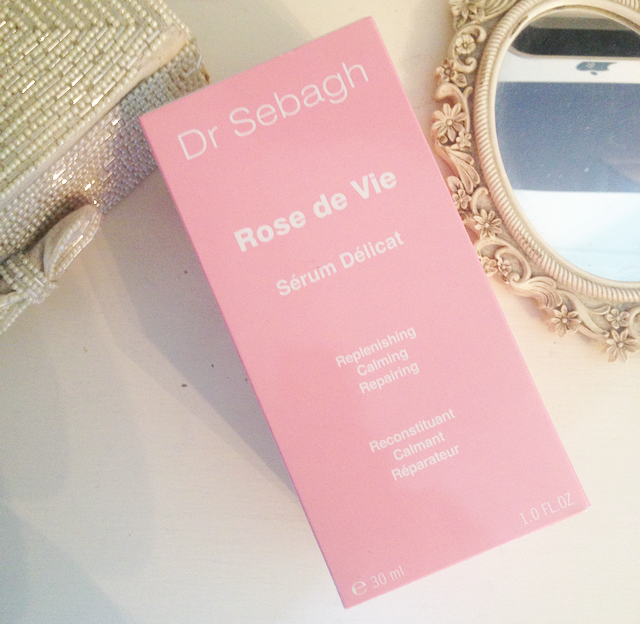 Have you tried any of Dr Sebagh’s award winning products? Would love to hear about them.